Early planning is critical in data center deployments, and all key stakeholders should have a chance to give input. In this this edition of “Voices of the Industry,” Samir Shah, Chief of Staff at BASELAYER, covers three of the top considerations when adding data center capacity. Most data centers have a wide variety of assets, and a dashboard will give you an at-a-glance view of what you have, how much you have, and the current status of each asset so you can accurately plan for upcoming maintenance and provisioning of assets. Read on as Herman Chan, President of Sunbird Software, explores the top dashboards and KPIs that help every modern data center boost productivity and efficiency. 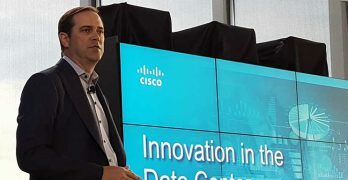 Cisco sees an opportunity in the crowded market for data center management tools, and has introduced Tetration, a solution that combines hardware, software, analytics and machine learning to provide better visibility into the data center. Flying Solo, or Going Colo? 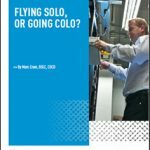 Building and operating an enterprise data center (“flying solo”) can be a daunting task that is capital intensive. Being a tenant at a colocation provider can take a lot of burden off the corporate facilities team and reduce CAPEX. Download the new report from Server Technology and Raritan that aims to help enterprises make the decision to choose a colocation provider or building and operating an enterprise data center on their own.